You just need to take a quick look at my last few food post to see I love a burger. 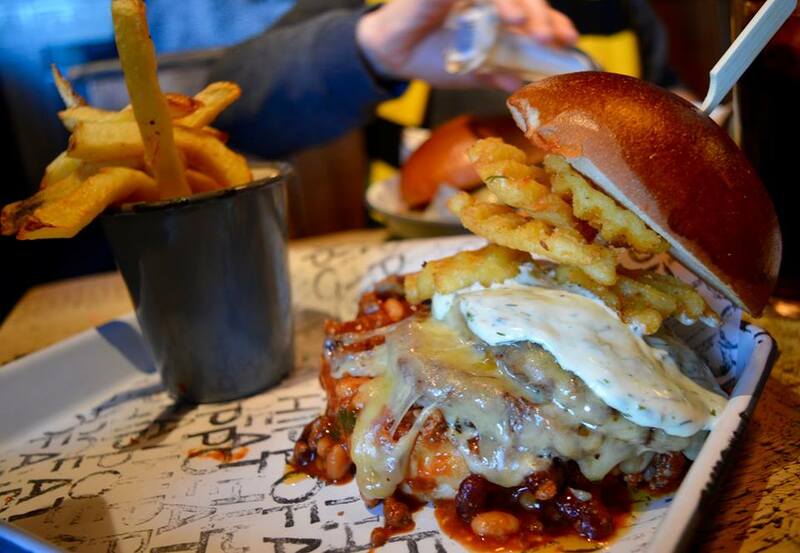 For me the number one place to get a burger is Fat Hippo, I've been to Fat Hippo in Jesmond a few times and loved it every time, also Fat Hippo Underground is one of my favourite restaurants in Newcastle. Fat Hippo opened in Durham a couple of years ago but I've only just managed to check it out for the first time last week. We were in Durham to see the Fire and Ice displays (you can see Mrs. Cool full review of Fire and Ice here) and decided to go to Fat Hippo for lunch. 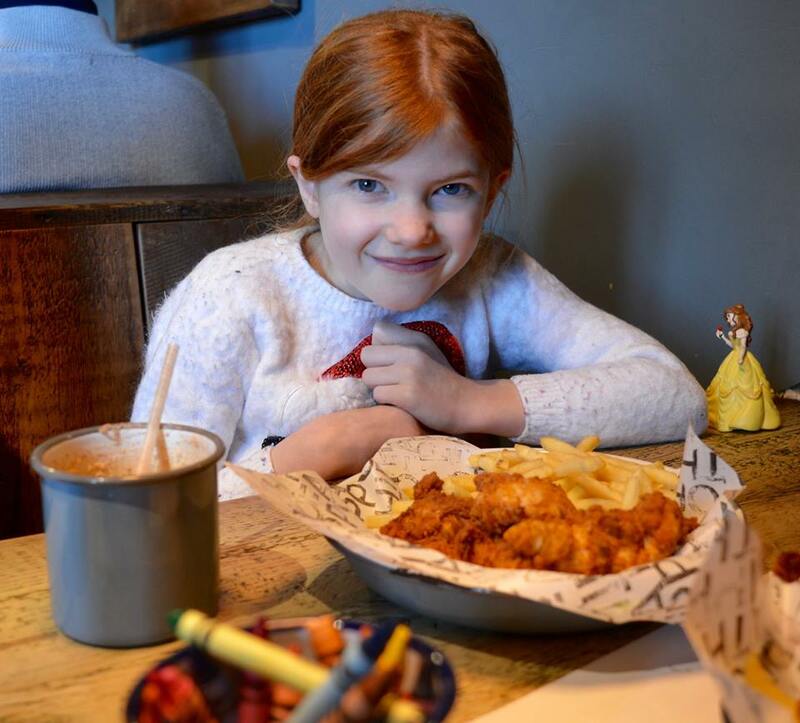 As usual all of our food was amazing, the kids menu (which in some restaurants seems to be an after thought) is really good and great value at £6 for a main, a side and a drink. The kids can build their own burger or go for mac and cheese or chicken fingers. Heidi is the fussiest of our kids when it comes to food and she doesn't like burgers (is she even my child?!) so she went for the chicken fingers with skinny fries. The chicken fingers are coated in herby/spicey breadcrumbs, they are lush and some of the best we've had I would order these myself if I wasn't such a burgerphile. 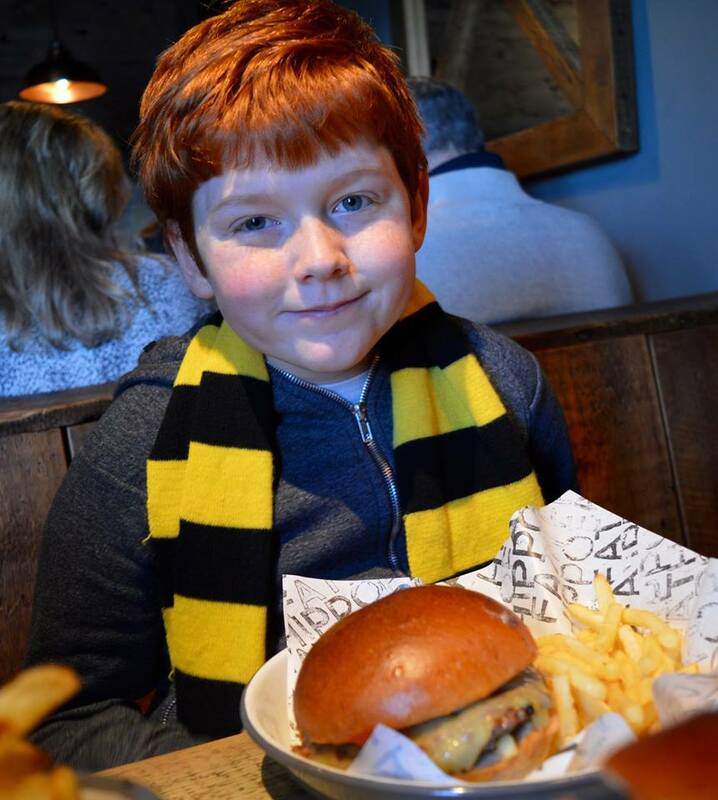 Harry on the other hand loves a burger (that's my boy), Jack is also starting to like burgers too. Jack had a plain cheese burger and Harry had a cheese and bacon burger with ketchup. The kids burgers are just as good as the adults ones and far better than any kids meals at fast food places. Mrs. Cool usually sticks to a couple of the burgers on the menu and this time around she went for the Texas Burger which is a Double 4oz patty topped with streaky bacon, cheese, onion rings and BBQ sauce. The burgers are served pink, are really juicy and just look at the size of those onion rings (nom nom nom). I like to try a new burger whenever I can, when we visited Fat Hippo had a VDay special called the Smokeback Mountain which is a double 4oz patty, Monterey Jack cheese, smoked sausage and beans, Cajun cross cuts, ranch sauce and fresh Jalapeños. This is quite an epic burger, I had to deconstruct part of it by taking the cross cuts out and eating them separately. 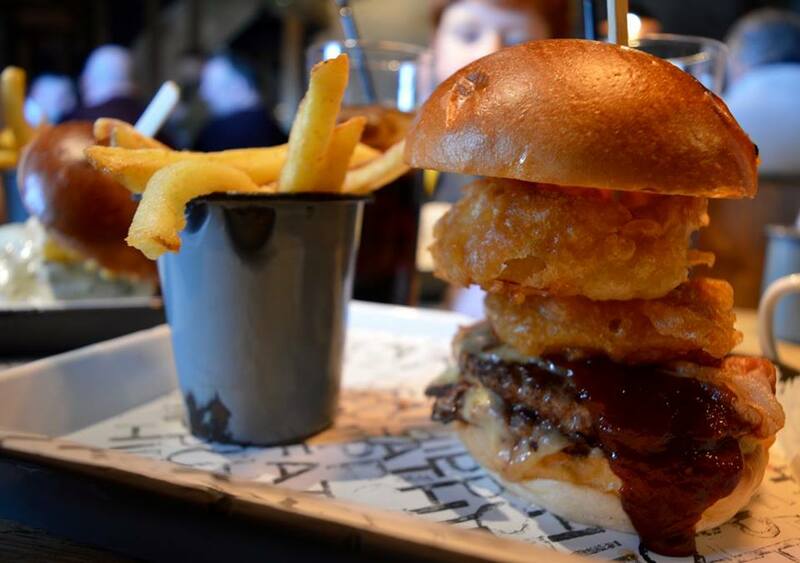 There's no getting away from the fact this is a messy burger and it's best to just dive right in and worry about the state of your hands and face when you're finished. The burgers were perfect and the smoked sausage and beans were friggin' lush. I'm still working through the main menu at Fat Hippo and will be back soon and if you're a burger lover like me then why not join The Herd. 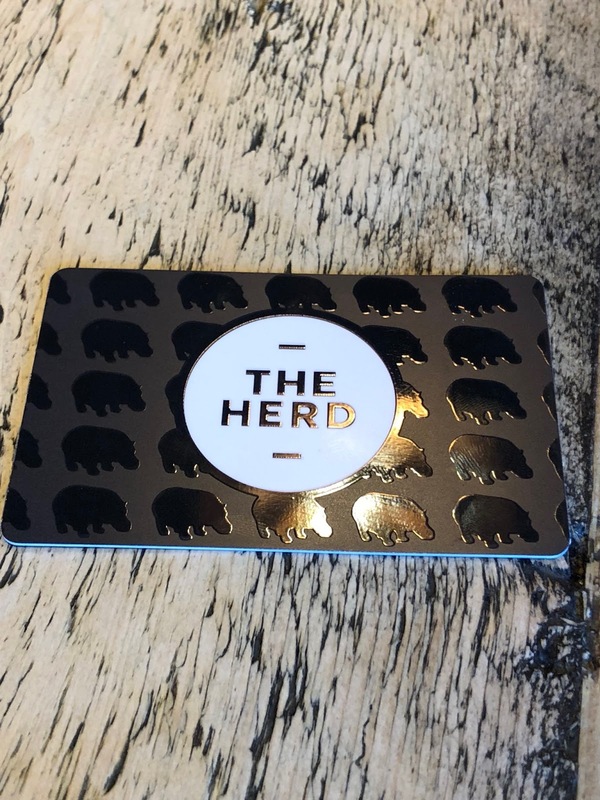 You can earn points that can be redeemed for various rewards and you get access to the secret Herd Menu. I've never had a veggie burger. I don't think I could bring myself to have one when there are so many beef burger options on the menu.